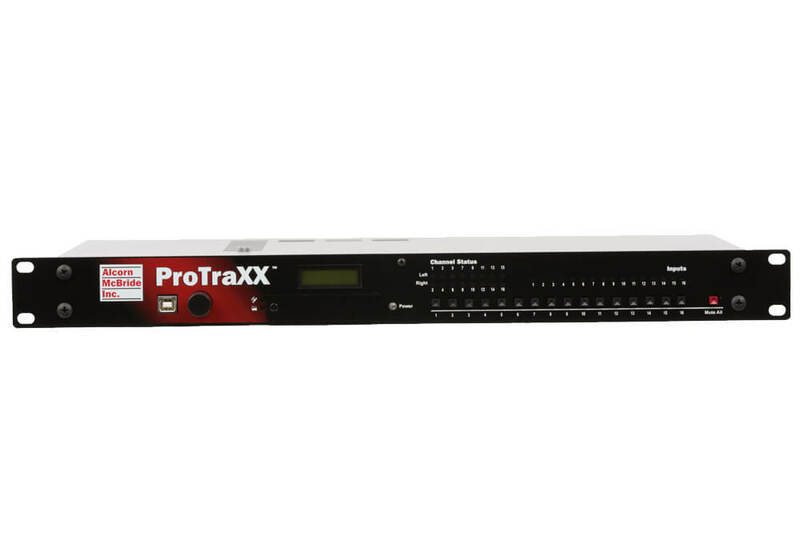 ProTraXX offers high quality MP3 audio playback in a compact, solid-state unit. 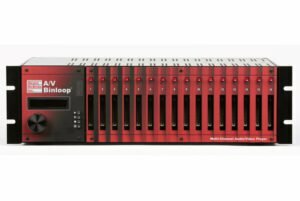 It is the go-to unit for multi-zone playback. 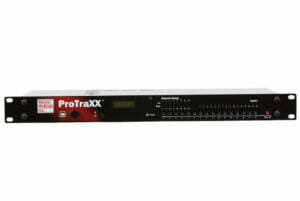 ProTraXX plays eight independent stereo, or sixteen independent mono tracks from a single, economical rackmount unit. 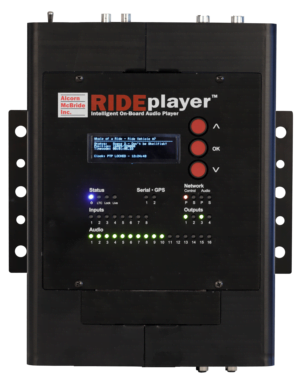 Each track can be individually triggered using serial, Ethernet, or its own discrete input — contact closure or voltage — allowing direct connection to proximity sensors or switches, making it ideal for audio effects in dark rides, interactive museum exhibits, and visitor centers. 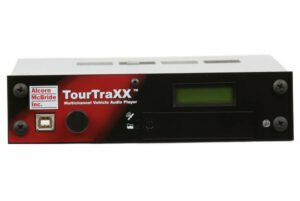 With remote updating via Ethernet, the ProTraXX is perfect for retail applications that require frequent modifications, such as audible signage. 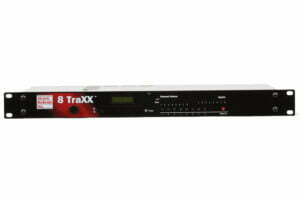 The Microphone/Aux audio input allows for playback of BGM with live or pre-recorded paging in each zone. Send serial or ethernet commands to Alcorn McBride products. 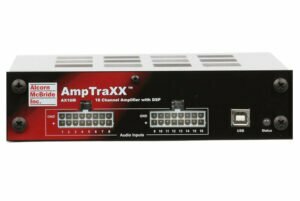 Good for controlling hardware and troubleshooting. These tools help you access the advanced features of your product. Visit our Software page for more selections. 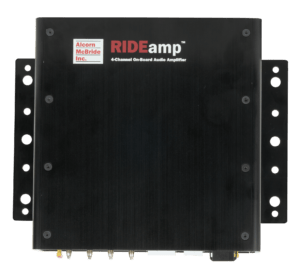 Alcorn McBride provides the latest firmware for your product at no charge. To learn how to check your firmware version and upgrade it, visit our Firmware page.